Boat MS Mecklenburg Hotelschiff is situated in Rolandufer 6, Berlin in Mitte district of Berlin just in 4 km from the centre. The boat is within walking distance of many locations as Alexanderplatz, Museum Island, German Historical Museum and just in 9.3 km from the Berlin Tegel Airport. Guests can use a full range of services: special non-smoking rooms, pleasant bar, private check-in/check-out, open terrace, internet services. Please note only cash is accepted for payment. Accommodation staff speaks German, English. 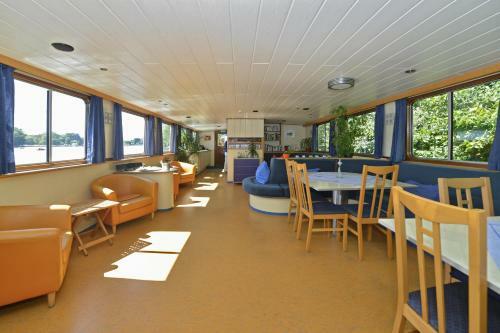 For guests, comfortable accommodation is offered only one room type - twin in the boat. Of the amenities, there are air conditioning, hairdryer.